Seriously. This rendering is spot-on. 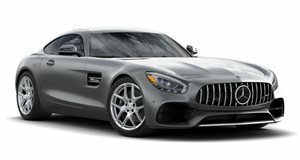 As long as Mercedes-AMG opts to go with a retractable hardtop instead of a cloth roof, then this is without a doubt the best rendering yet of the AMG GT convertible. Coming courtesy of Theophilus Chin, this imagined AMG GT convertible looks fantastic and we can’t imagine the eventual production version looking all that different, save for a few minor details. Of course the automaker may be planning a soft top instead, as was the case with the SLS AMG roadster. However, we’d put our money on the folding hardtop for a few reasons. First off, buyers spending over $100,000 want more than just fabric over their heads. If BMW can pull off a folding metal roof with the smaller and less expensive Z4, then there’s really no reason why Mercedes can’t do the same here. What’s more, there are more lightweight materials out now that weren’t quite good to go when the SLS AMG roadster was designed. A retractable roof made of aluminum or carbon fiber is now totally feasible without causing the sticker price to soar dramatically. We could have our answer as soon as Frankfurt this coming September.